Long Island is known for many things including some of the most beautiful beaches, Gold Coast mansions, and of course its proximity to New York City. But probably my favorite part, having lived here for many years, is the rural "North Fork," which is known for its potato farms, wineries, horses and farm stands. When Katherine and I went pumpkin picking, we visited The Garden of Eve. 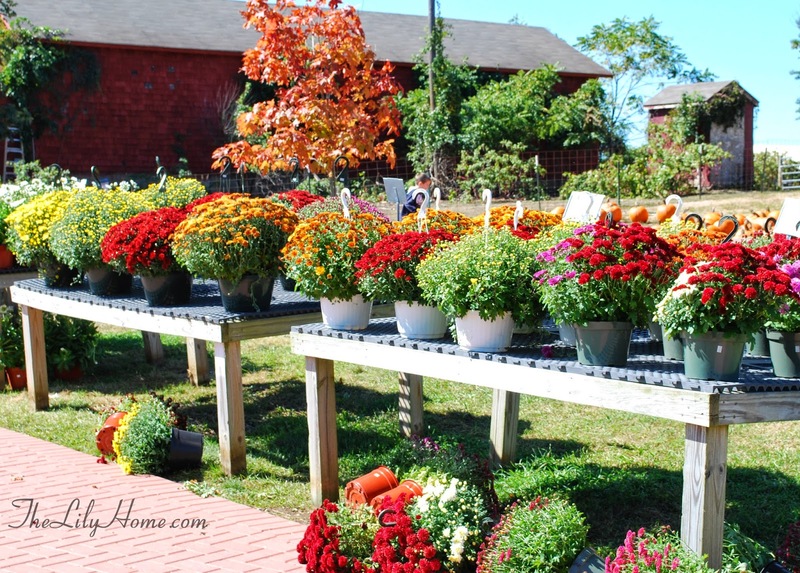 It's almost like the gardening Gods made mums to match the Fall colors. 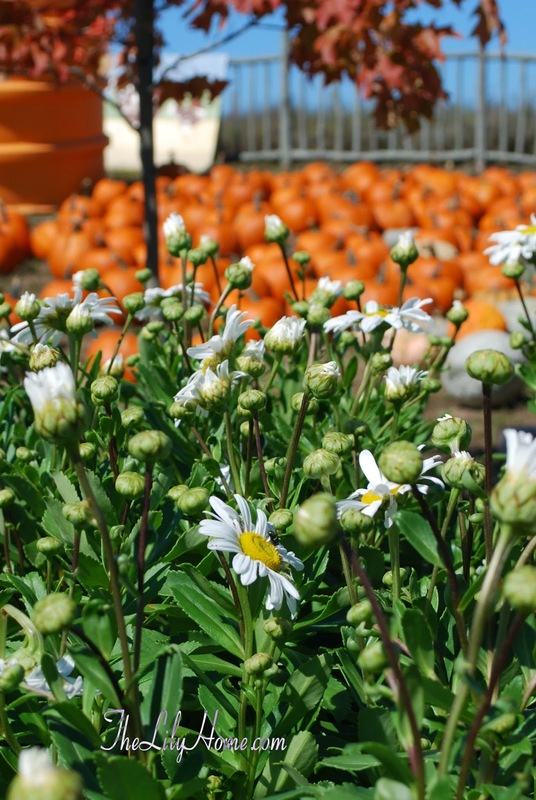 One of my fall favorites is Montauk Daisies. They are like the country cousin of mums... a little more free flowing and less tailored, and always white with a yellow center. On the South Fork, the hamlet of Montauk is surrounded by the Atlantic Ocean. It has a kind of free spirited ruggedness about it. 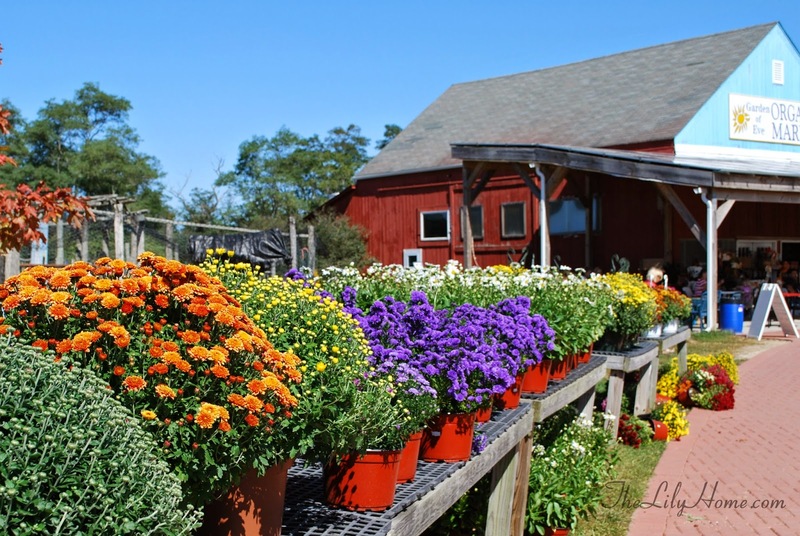 There, you can find Montauk Daisies growing loosely in huge informal bunches along old gray split rail fences. 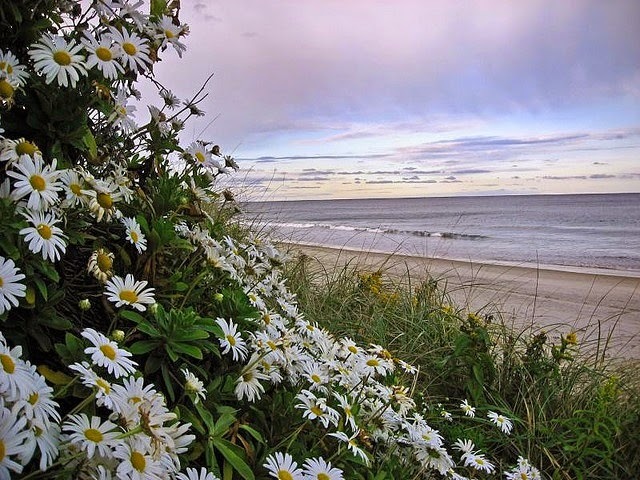 Montauk Daisies in Montauk, NY, on the Atlantic Ocean. Happy Birthday Katherine and Jonathan. I can't believe you are 18. Where did it go? I hope you both travel far and wide, but are never too far away. Dream as big as you possibly can, and then make all your dreams come true, as you did mine.